Fleecy Cleans™ are made with safe and nontoxic materials. The soft fabric is gentle on a dog's mouth while effectively wiping clean teeth and gums during play, reducing plaque buildup. 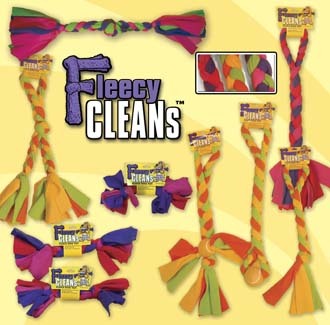 Fleece type toys are the product of choice by agility handlers and other sporting dog competitors.